David Love property carries out all types of electrical work. We have electricians based in Dalkeith, Edinburgh and Midlothian so we can respond to your needs fast. 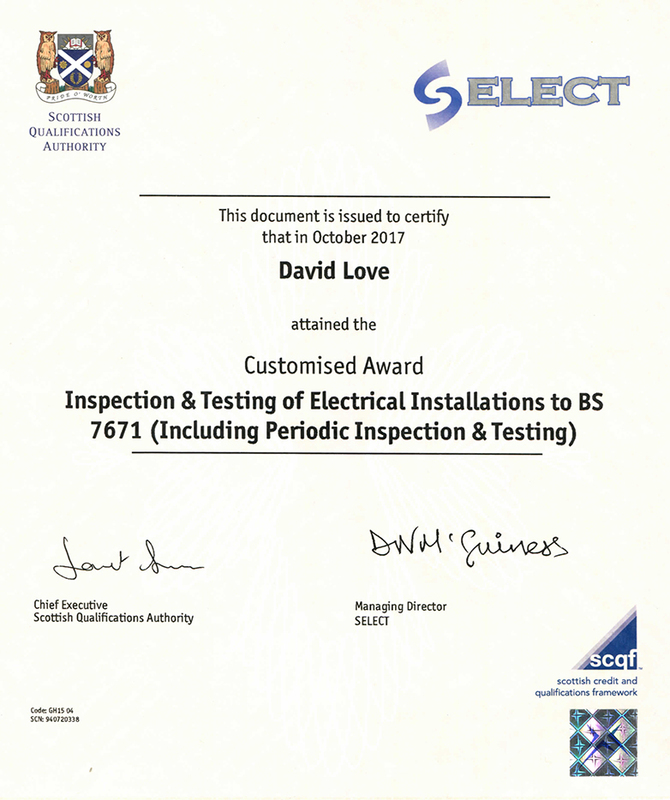 Our electricians are fully qualified. We cover domestic, commercial and industrial electrical installations. All our work is guaranteed. We offer free fixed price no obligation quotations. Our prices are competitive. We have a high quality service: fast response, experienced tradesmen and reasonable prices. Our business is expanding and we are keen to take on work. We can agree fixed terms for agency work and private landlords. Home owner? We offer good deals on electrical work for private home owners. No job is too small. We have an electrician and plumber on standby 24 hours per day / 7 days per week to cover electrical emergencies. We can be on site in Dalkeith, Edinburgh or Midlothian within one hour of a phone call. Call David Love Property today on 07413134394 to discuss your requirements with an electrician.